So yesterday I was telling my children about some of my childhood stories. We laughed so hard my eldest fell of the chair with laughter. A few things struck me in my story and I picked up some patterns, pregnant with life lessons. Let’s rewind to 1990 – I had just finished my junior certificate (Form 2). I arrived in Harare for the first time – yes first time to visit my brother who was already working. After a few days in Harare I got my first “job” working for my uncle – Bamnini Bevan who had a carpentry shop in Magaba in Mbare. Every morning I would wake up early and go to “work” – I was only 14. After working so hard he never paid me as agreed! Bless his soul. I was never bitter – we even laughed about it. Fast forward to 1992 I completed my O levels. Even before the results were out I went to Gweru for the the first time – this time I went to stay with an Uncle – Sekuru Munhanda. He owned a small college which was a Pitman exams Centre so I started studying Accounts & Finance during the gap period! When O level results came out I suspended the studies because I had to go and do A level studies. While at University, I invested about $500 of my payout in a recruitment business. Two smooth talking gentlemen – Phillip and Patrick talked me into it. I was naive I lost everything and was almost beaten up following up on my “lost investment”. Years later the year is 2008, I am now working in South Africa – I am just a few months in a foreign country and I got myself a side gig as a columnist in Black Business Quarterly (BBQ) magazine. In no time I was already getting qouted in the respected IT Web’s i-Week(www.itweb.co.za) and national broadcaster SABC as an expert in my field. When I was recently studying (2 week block release) in Kenya in 2013 I offered to go and teach Strategy at a local university for FREE- it was an exciting lecture. In 2014 I also helped a technology company in Kenya set up their Strategic Programme Management Office (SPMO) and I did some cool consulting stuff for them in my spare time for FREE. In short this is how I became a Creator of Empowering Opportunities (C.E.O) of my life. 1. Don’t wait for opportunities – create them. Talent is universal – opportunity is not. 3. When you go to a new place don’t think of checking out the fun places only – invest in networks, connect with opportunities. First time In Harare I picked a job. In Gweru I picked a new skill. In South Africa I build my personal brand. In Kenya by offering my skills for free I put a down payment for opportunities I may need to go and close one day! 7. A skill is a seed. Don’t waste it invest it. Lastly because of an attitude of being a Creator of Empowering Opportunities (C.E.O) most times I don’t have to apply for jobs…I am given work. You can too! My 7 year old girl was recently hospitalised. She has such an unshakeable spirit. While in the ambulance I asked her how she was and she replied “This is so cool Dad…this is like a fireman’s car” A few hours in the hospital she asked that I bring her colouring kit. Instead of wallowing on her hospital bed she has decided to put her gift to great use. She has made several awesome paintings from her hospital bed amongst her best to date! The picture in this blog is one of the several she has done. I am inspired and challenged. Have a great weekend. Remember your situation is not your destination. Where you are is not who you are. I also share some of these key life lessons in my book How To Rise Like An Eagle which is available on Amazon. A seed is dry and looks almost lifeless, yet it has much potential. When a seed is planted in the darkness of the soil, it soon breakthroughs the soil into a glorious plant. Without going through this transformation process , this seed will not perform as a plant. 3. 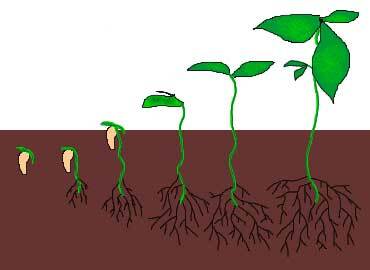 A seed is not ‘buried’ but ‘planted’. When going through transformation process you are not dying but being changed. You may not like the process, but it’s what brings your progress. Transform from dry seed to a lively plant. If you don’t transform you will deform. If you transform you will perform. Declare: I have the seeds of greatness in me. I flourish where I am planted. I am productive and fruitful. You can get a copy of book Seeds of Greatness to fully appreciate the success lessons from seed. 2. 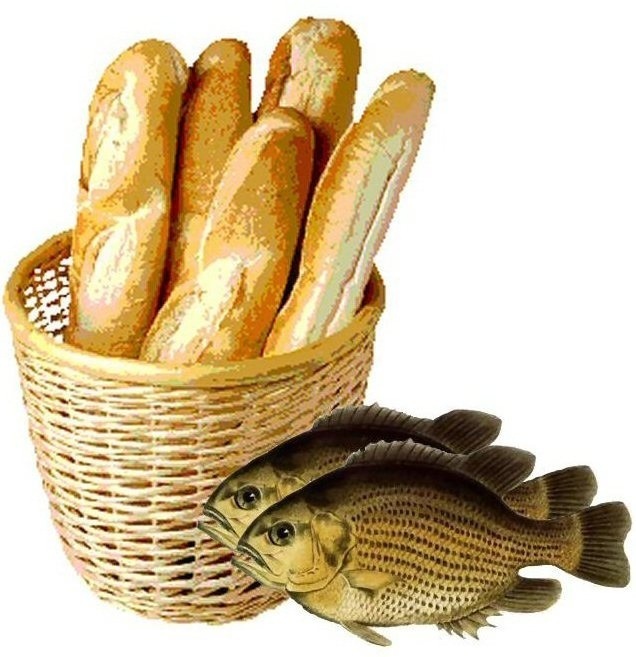 Jesus didn’t look at what he had (5 loaves & 2 fish) He LOOKED UP to the Father. Today celebrate that which you have…that job, spouse, that small business, few customers, few dollars, that small church. What you celebrate appreciates. There is a proverb that says “You eat an elephant piece by piece” This is an approach that you can use to tackle some of life’s goals and challenges in 2014. It’s good to set big goals at the start of the year. The enormity of the goals can be overwhelming if you don’t apply wisdom. There is a common story in which Jesus fed 5000 from a boys lunch of 2 fish and 5 loaves. How did he do it? 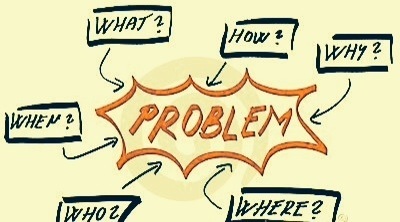 You may be facing a big problem or goal to today. Relax – problems gravitate towards solutions. You are a solution bringer. Go ahead and solve it! I am a problem solver. I create an opportunity for the supernatural to happen in my life by being organised. No problem is too big for me to solve. I am ready and equal to every task and challenge. 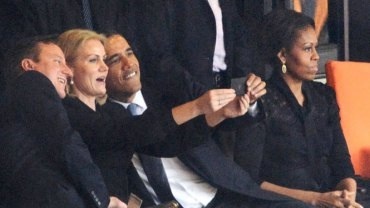 This week 3 events threatened to become the main show at Mandela’s funeral – the President Obama selfie, the fake “Interpreter” and the President Zuma booing. It was lost on the media that while Obama was caught getting himself a picture, his moving speech was by far an outstanding portrait of Mandela. While an interpreter failed to make meaningful signs as the speeches were being read, this should have never become big news – Mandela is the real and eloquent deal…his life needs no interpreter. I still can’t get over the fact that South Africans chose the occasion of Mandela’s funeral to boo their President. When we publicly humiliate our leaders we ruin their confidence and diminish their capacity to lead. This is not my point but I had to say it! Booing President Zuma was out of place on a day when there should have been cheers for Mandela. 3. The one with the ball is the one who is marked. Keep playing! Mandela inscribed on his prison wall the last two verses of this poem. Before the 1995 World Rugby Cup final, Mandela gave this poem to the captain, Francois Pienaar of the South African national rugby team the Springboks who went on to win the World Cup. You might be faced with the biggest challenge of your life right now. There is a ‘bug bear’ which has been nagging you and you want to get rid of it? Your life feels like you are in cul de sac – just going round in circles, or you feel like you are riding a rocking horse – all motion no progress? It is time to change your perspective. Take a step out of the situation, gain perspective and approach things with fresh insight and understanding. It’s time to change perspective to alter the course of your life and that of others. To change your world you need to change your perspective.